It's Nintendo Download time once again, North America, and just a little later than normal this week. We have a fairly lengthy list for you to pore over, covering content on the Wii U and 3DS eShops as well as one DSiWare title. There's plenty to get through, so let's leap right in. 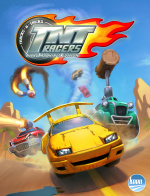 TNT Racers - Nitro Machines Edition (keen games, $7.99) — The original TNT Racers on WiiWare was a relatively fun racing game, and Keen Games has now stepped up to try and bring that and more to the Wii U; enhancements include new items to shake up races, additional modes, cars and tracks as well as online leaderboards. There's certainly a strong emphasis on local multiplayer, too, and we gave this a solid recommendation in our TNT Racers - Nitro Machines Edition review. 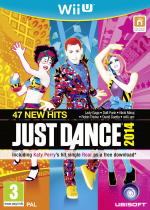 Just Dance 2014 (Ubisoft, $TBC) — Available from 8th October. Final Fight (Capcom, $7.99) — This is one of the original arcade conversions to the Super NES, and an iconic beat 'em up that's certainly welcome on the latest Virtual Console. We'll seek vengeance on the streets soon, while you can check out our rather personal story in the original Wii Virtual Console Final Fight review. Final Fight 2 (Capcom, $7.99) — This second entry rights some wrongs of the first, including multiple playable characters and two-player co-op, though perhaps disappoints with some gameplay elements. You can see what we thought in our Wii Virtual Console Final Fight 2 review, while we'll take to the streets again to take a fresh look. Final Fight 3 (Capcom, $7.99) — Rounding off the Super NES trilogy of titles hitting the Wii U VC this week, this one includes more brawling on the streets but also the option of an automatic two player mode where you play with the CPU. By our reckoning this third entry is certainly the best of the group, as explained in our Wii Virtual Console Final Fight 3 review. Buy any of Final Fight, Final Fight 2 or Final Fight 3 and receive 50% off other fighting games such as Street Fighter II' Turbo: Hyper Fighting — see the eShop for details on all eligible games. Picross e3 (Jupiter Corporation, $5.99) — No, this isn't a mashup of a popular puzzle genre with the annual LA gaming extravaganza, but the third in the 3DS eShop franchise. Slipping past its previously estimated September release, this is likely to bring more of the clean, enjoyable Picross action with which many of us are familiar. We'll bring you a review soon. Family Bowling 3D (Arc System Works, $4.99) — After a fairly lengthy spell where the 3DS eShop bypassed the concept of virtual ten-pin bowling, all of a sudden there are now multiple options available. Arc System Works continues its Family range of games, allowing up to four players to take each other on in multiple modes, while solo bowlers can also take on some challenges. We'll dig out our custom made bowling ball, step into some smelly rental shoes and let you know what we think. Happy Circus (Moving Player, $3.99) — Another title to join the steadily growing library of education games on the 3DS, this one promises to help youngsters learn to read and count in six languages, all wrapped in a cute circus animal bow. We'll bring you our review very soon. Halloween: Trick or Treat 2 (Microvalue, $7.99) — It feels slightly early to be considering a Halloween game, and yet here it is. This is a sequel to a DSiWare title, and once again promises to deliver a mixture of object finding and mini-games; in truth the original got an absolute mauling in our review. Is this one terrifying in all of the wrong ways? We'll let bygones be bygones and give this a chance to spook us out in our upcoming review. Rhythm Thief & the Emperor's Treasure (SEGA, $19.99) — This terrific rhythm game from SEGA makes a rather belated appearance on the 3DS eShop, and we were certainly big fans in our review. Jewel Quest 5 - The Sleeping Star (Tulip Games, $7.99) — There's been a few Jewel Quest games in recent times, and now North America can enjoy the latest entry on DSiWare. You match gems, much like its predecessors, yet we feel that a lacking execution and absence of flair combine unfavourably with a fairly generic concept; check out our Jewel Quest 5 - The Sleeping Star review for the full lowdown. Quite a lot to choose from this time around, so let us know what you plan to download in the poll and comments below. One vote. No particularly interesting games. TNT Racers, finally! Should get it when I get home tonight. The Little Inferno promotion sounds good, too. I'm just afraid that, from what I've seen of the game, it'll get boring fast. Is there anything more to it than burning stuff? Any sort of strategy at all? This game drought has got to stop. i am sick of watching all these Nintendo Directs and nothing ever comes out!! i haven't bought a game in months!!!!! I'll be getting Little Inferno I've been waiting for it to go on sale. I've always wanted to get Rhythm Thief... maybe I'll download it if the price is good! Glad I'm getting physical copy of WWHD tomorrow! This line up isn't very exciting.....TNT Racers maybe???? They need to make it RAIN VC games. Getting Rhythm Thief because I lost my retail copy. I just hope it's only 29.99 or less. Not that I was expecting it today, but it's been "delayed" two months already. @steamhare.......YES!!!!! .........YES THEY DO! Would've loved to have seen SMB3. Wonder why it takes so long!!!?!?! hopefully we get Final Fight: Guy sometime also! I'll probably get Rhythm Thief if it's around $30. @CapnPancakes Just updated the article, Rhythm Thief is $19.99. Well worth considering, I'd say. Where is Flipnote 3D? COME ON NINTENDO! Glad to see so much for Rhythm Thief. It's one of my favorites. @CapnPancakes That was it's retail price, so it should be. Considering Little Inferno while it's on sale. I will pass on Final Fight since the SNES was the inferior version. They took out Guy, made it one player and took out the Industrial level as well. I have the real arcade version on XBLA. Now Final Fight 2 and Final Fight 3 I will be picking up for sure. I wonder if there is a discount for getting those two or is it just Street Fighter? Where the heck is my N64 VC, SMB3, Chrono Trigger or FF1-6? Come on Ninty step it up. I'd like to get TNT Racers, but I don't have much money at the moment, and getting this game isn't a top priority. @muchB1663R Why not? I share your pain. Still waiting for SMB3 to release so that I can update it to the WiiU version. Other than that, I'll see what the Club Rewards are Monday and wait for Wii Fit U and Wii Sports Club Bowling to appear. That FF promo sounds good, as I want FF3 and I could use a SF. I will check on that later. Thank goodness they put Rhythm Thief & the Emperor's Treasure on the eShop. I can't find that game anywhere, and I really enjoyed the demo. Ok, Rhythm Thief it is. I might need another SD card with all these great titles coming out on the eShop though. Nintendo, WHERE THE HELL IS SMB3?! That is all. These updates i thought would get alot better, the 3ds is the king obviously.Its the system thats getting everything unlike the WiiU, which is still boring me to death. "America can enjoy Jewel Quest 5" Riiiiiiight. Nothing for me this week. I've still got alot of games to buy anyway. Wait... WHAT? Rhythm Thief (North America) $19.99. Rhythm Thief (Europe) 44,99€. What's going on? I would download it instantly if it were 20€. I think that the speed of releases is great, theres nothing this week, but I have a bunch of games that I'm behind on Downloading. Where's Super Mario Brothers 3??? Guess I must be easy to please because I think I've still got plenty to play on Wii U. Some games I've finished, but since the replay value is good I'll still be enjoying them... W101, Pikmin 3 and NSLU; not to mention the downloadable titles I still have and Wind Waker HD plus Sonic Lost World too. There is no game drought for the 3DS. An eshop drought, yes, but the 3DS has not wanted for major releases this year. Almost every month has had at least one major release. Unless you mean the Wii U, in which case I agree. @VoiceOfReason I know right, and they haven't even mentioned it in any of the direct videos!! The only thing good about eShop VC drought is that I don't have to weep over my bank statement at the end of the month. Mega Man II-V, where art thou? Super Street Fighter IV 3D is on the eShop too. And it's only 19.99 too. God I am so tempted to download both games. But I am trying to save that money for Pokemon Y on the eShop. I only have a 3DS and nothing good as of late. Hopefully the good stuff starts coming out soon. Also yes I mean the eShop because if I leave a hole in my sentence that's opened to interpretation someone has to use it to start an argument. Wow looks like Rhythm Thief is (back) on the menu! $20 is certainly in line with my budget for an eShop title. Other Final Fight 2 & 3, everything else could just be ignore. As others said... I'd have preferred Final Fight Guy. @Tasuki: Yeah, I am with you. I have Final Fight on PSN and Final Fight ONE on GBA so no reason to get the inferior SNES port. However, I do want Final Fight 2 & 3 on WiiU VC but since I have the two Street Fighter's that I wanted already during their previous sale, I want a buy 1 get 1 50% for Final Fight 2 & 3. @TruenoGT: Thanks for the head's up on the promotion. I will wait to Final Fights appear on sale. Guys, Little Inferno is actually $4.99 on the eShop - its original price is $9.99, remember? @Tasuki Don't forget turning Poison & Roxy into full-fledged guys, changing "Oh my God!" to "Oh, my car! ", missing a few frames of animation, missing the scene transitions (knocking down doors, etc. ), and changing some of the boss names (Sodom = Katana, Damnd = Thrasher). Really, the only reason I'm buying the first game back is out of nostalgia, because it really does pale in comparison to the arcade, as well as the Sega CD and X68000 ports. I go back and forth about which of the sequels I like better. Both are pretty solid games, though the second game "feels" more like the first Final Fight in terms of its game engine. Which of course is a huge plus. Been waiting for Little Inferno to go on sale. I'm not interested in downloading crap this week so.....nothing. Been trying to find a copy of Rhythm Thief for $20 for a while, since I saw it on sale for that price at EB but couldn't find a copy at local stores. Was sort of hoping it would come to the eShop. Yay! Like others...I'm getting FF2&3. Other than that, nothing else. I have to save my loot for some upcoming games. I'll get Final Fight 1, 2, and 3 thank you. I was going to get a Final Fight game and pick up SSF2, but I don't know Final Fight well (the only game I have played like, at all is Mighty Final Fight) and I wanted to know which one I should get. You've all made it clear to me! Thanks. @mumof3kids82 The price is $20. I wanted to know which one I should get. Final Fight 3 is the best. But the first two have their charms too. FF3 has better quality backgrounds than FF2 but I find FF2 to have more interesting looking backgrounds than FF3 and more memorable music. Final Fight 3's backgrounds and music are kinda bland and lifeless. Final Fight 1 is a classic but like others have said, its a cut-down port of the arcade game. Yes, its inferior but I think its unfair to expect a more accurate port from at the time of its release. It was one of the very first SNES games and unlike Super Mario World and F-Zero for example, it was a port, not a game designed around the capabilities of the SNES. A more accurate port could have been released later but it would have been pointless to do so. Final Fight Guy was an unnecessary release IMO. Rhythm Thief will become my 1st eShop full retail title purchase!!!!!!!!!!!!!!!!! That game is crazy expensive now over here in the US, I think the game sold very poorly over really hope it gets a 2nd life on the eShop!!!!! and that is why I avoid the UK eshop. The games arrive late (if at all), over priced, and rarely receive a good discount. Nintendo seriously need to step up with some pricing rules to make sure customers in different countries aren't ripped off like this anymore. The price should be the same, or as close as possible to the same, in each territory. North America got Picross-e3 but Europe didn't? Not on VC, no, and I'm getting sick of that myself. But as for retail releases there are so many games hitting us on Wii U and 3DS I can't even count. SIX new games for my Wii U in just the last 60 days, and 3DS has been consistent all this year with Fire Emblem: Awakening, Luigi's Mansion: Dark Moon, DKC Returns, Animal Crossing, SMT 4, Mario & Luigi: Dream Team, and soon Pokémon X/Y, Sonic Lost World, Zelda Link Between Worlds and Mario Party: Island Tour. For those of you complaining about the eShop drought, go check Nintendo's official Youtube channel. They just posted trailers for 8 different indie games that are releasing in the next few weeks. Scram Kitty and His Buddy on Rails, Treasurenauts, Grinsia, Knytt Underground, Armillo, and Siesta Fiesta on the Wii U eShop, and Jett Rocket II and Retro City Rampage on the 3DS eShop. All three Final Fight games at once? That's a pretty cool surprise. What you can do in Little Inferno is to make "combos", this is to burn two or more particular objects at once to get an achievement. There are around 90 of those, and similar to achievements its name hints to what you need to do. I got it when it was discounted a few years back and I did not regret it. Whaaaaaaat!?! Why is Rhythm Thief $19.99 in america and £40 in the UK!? That's just atrocious. @muchB1663R Plenty of good games have come out. What are you talking about? There has been a drought for a weeks, tops. If you have 3DS, buy Steamwold Dig. Game is basically averaging a 9 on reviews. What more do you want? Just a heads up, I bought Final Fight 3 for 1.50 using the upgrade discount and it unlocked the discount for Street Fighter! More gaming for your buck! @XCWarrior Depends what your tastes are - it is not like with the SNES where every month there was something really good for pretty much everybody. These discounts are going to kill me, Bit.Trip.Runner 2, Fiery Inferno, FF/SF combo discounts and MH3U back at half off today only... whelp, see ya, money! @Captain_Gonru - Creepy isnt good. My wife didn't want the kids playing Puppeteer after the demo and that game is hilarious, same self aware style as Kd Icarus. I want a physical Rhythm Thief but I've been having trouble finding it. @muchB1663R So you're saying you didn't buy Pikmin 3? What is wrong with you? No VC again... Europe, you can have our Picross e3, I want the 3DS Virtual Console games you have. @Obito_Tennyson: I feel your pain. I really hate how America is suffering from the lack of NES games. hey final fight, streets of rage called and left you a message, they want to kick yer a**! @ogo79 Streets of Rage beware though, Final Fight has back up (Street Fighter). @unrandomsam In this case, that's no excuse. Unless you only like one type of genre, there have been plenty of good 3DS eshop titles that have been released recently. He's just complaining to complain and won't try new IPs. I kept my word (to my vote), and purchased Final Fight last night and have no regrets. The VCA version of Final Fight never arrived. I dowloaded the 2 and 3 years ago and i keep waiting FF 1 for arcade. I think i will go for SNES version. @feelthesarcasm: You can get Rhythm Thief at Gamestop used for $17.99! @ThomasBW84 - Might want to update it again, Little Inferno is $4.99, on sale from $9.99. (here in NY). I know its only $2.49 less than $7.49 but I might buy it now. PS - Wii U internet acess is so much better wired with my old Nyko Wii adaptor. Well that's true; however, Final Fight was originally called Street Fighter '89 back when Streets of Rage was non-existence so if Streets of Rage wants a fight they had to deal with the rest of the other Street Fighter too (not counting SF 2010). Remember Final Fight had already taken it to the streets even before Bare Knuckle got the streets in their game. Lengthy list, not many games to be wanted. 45% of people so far aren't getting anything this week. And developers honestly don't even try with DSiWare anymore. What happened to the awesome games that all wanted to play? Those who can't get a 3DS or a Wii U until Christmas or something have to enjoy their DSi. These people ruin it with their half-hearted games. Has there been a worse week?